Are you looking for an affiliate referral program with high conversion or up to $50 per signup? What if say that you can earn $150 per signup by referring others through your referral link? Yes, Shareasale Referral Program is giving $150 for each merchant signed through your link and also giving $1 for affiliate signed with your referral link. 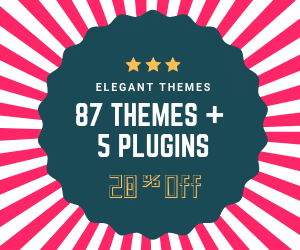 For bloggers, Shareasale is one of the best affiliate programs to promote products online, so it is not tough part to promote Shareasale affiliate program. You can earn money more than Google AdSense program. Are You Ready To Make Money Through Shareasale Referral Program? The first thing is to create an account in Shareasale affiliate program. Visit Shareasale.com and click “I want to promote This Merchant On My Website”. 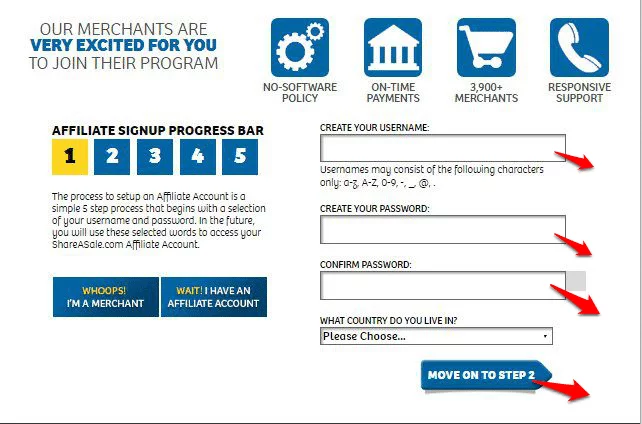 After Step 1# you will see this screen and follow the instruction and fill the boxes with required information in the “Affiliate signup progress bar” and click “move on step 2″ and the process will complete after moving to Step 5 and accept the term and conditions and click submit. #Note: Please fill the registration form carefully without any mistakes and fill with original information. Once your shareAsale affiliate account has been approved. Go To ShareAsale.com and Login with your “USERNAME” and “PASSWORD”. Once you logged in you will see affiliate account Dashboard. Step 4# – How to Get ShareAsale referral link? 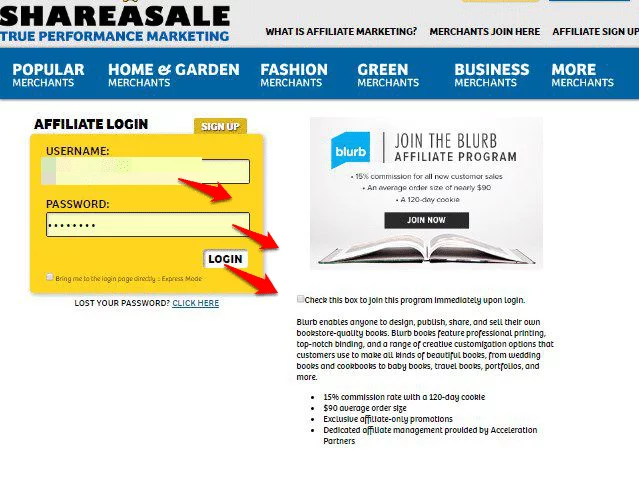 To get ShareAsale affiliate account referral link follow this step and also provided with screenshot. 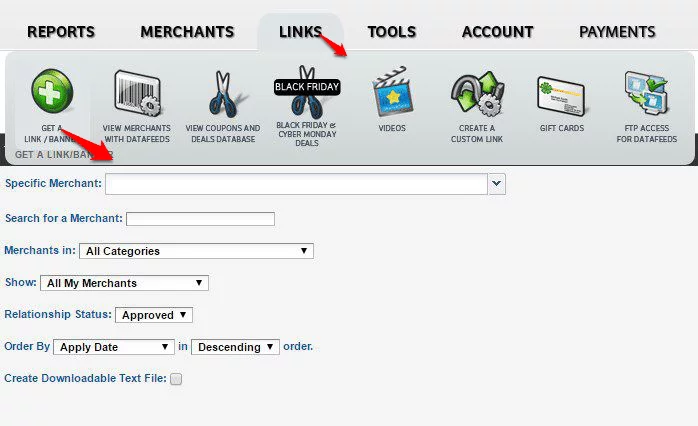 Click – LINKS – GET A LINK/BANNER and it will show you some search boxes to look for an specific merchant etc. Don’t do anything just set as like what you see in the screenshot and click “APPLY.” Since your account is new to use and by default ShareAsale referral program is approved to all affiliates and merchants, it will show you only ShareASale referral program as approved merchants programs. The above affiliate link looks ugly right? To make the shareasale referral link even good or to look natural i use Thirsty Affiliates link Cloaker Plugin to cloak the affiliate links. It cloaks the affiliate link inside and convert in to pretty links. 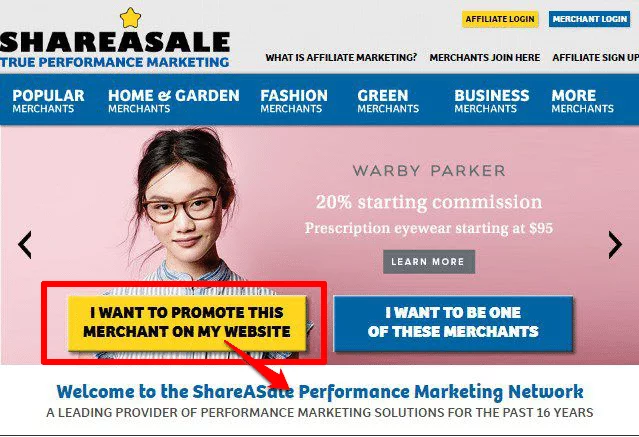 After converting the affiliate links into custom domain links then move on to final step to make money online by promoting your Shareasale referral link to merchants by opening merchants account in ShareASale merchants programs. Tips To Earn Money Through ShareASale Referral Program. Place referral banners or links anywhere on your site or you can even send emails to your friends attaching the referral link with it. Adults sites are not allowed so don’t use this referral program on the adult site. Or you can write an honest review about Shareasale referral program and place the referral link in the post. Once your account reaches the minimum threshold of $25, or more, you will receive a commission. Merchants have to pay $650 one-time fees to get started. So Hi, buddies by this ShareASale referral program post I have covered all about how to open an account and how to find your ShareASale referral link and additionally also taught how to convert the ugly link into the good looking custom link. 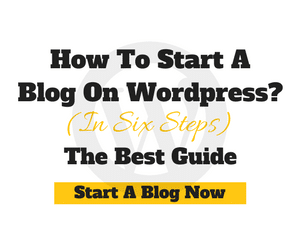 Next step, is yours follow this post step by step and mean time gather some ideas and start making money. 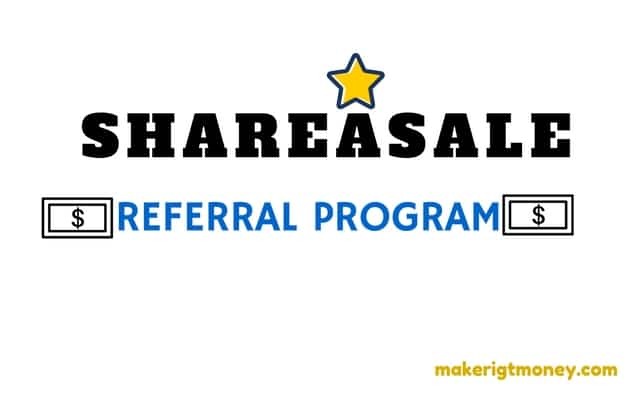 How much can you earn through ShareAsale Referral Program? It is just a glance earning amount, and there is no stopping point or no limit to making money online with Shareasale referral program. I was completely oblivious of sharesale till now.Going to try it today onwards. By 30 refferals ,you mean publishers or merchants? No cathy, If a merchant joins through your affiliate link you get a commission for one time. The more the merchants join more commissions you will get. You won’t get any commission if someone’s buys from that merchant. Got it? In order to get commission you need to become Affiliate for that merchant. I am a shareasale affiliate and applied for its referral program several months ago. Now in my account still display “pending approval”. This isnot an auto-approved program. How long can affiliate get their approvement? I know some people who want to join the merchant program, but shareasale refund their fee. Why? The affiliate managers will check the relevancy of your website and traffic then approve it. I too faced your situation. to get quicker approval contact through their affiliate email id. Mostly shareasale refund the merchants fee after checking the quality. To get merchant account you need to sell high quality products. Thanks for the good detailed review. I really like it when people get together and share ideas. I like this post, enjoyed this one appreciate it for putting up. Thanks for this detailed piece of information! Now I will look into some of the affiliate programs related to my niche.